One of my favorite things lately has been opening up my Rocksbox sets! 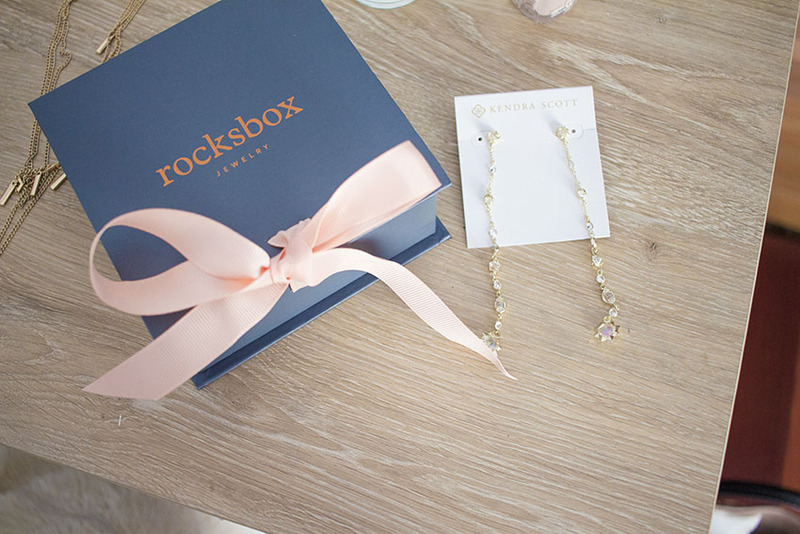 If you're not familiar with Rocksbox, it's a monthly subscription service that sends you 3 pieces of jewelry to wear for as long as you'd like. You can either keep them or send them back once you're ready for a new set. I like that I can play around with new and different styles of jewelry every month without actually having to purchase each individual piece! It's a great way to stay stylish while still being easy on your wallet haha! The way it works is you get to create a wishlist of pieces you'd love to receive and then it's all up to your stylist after that. 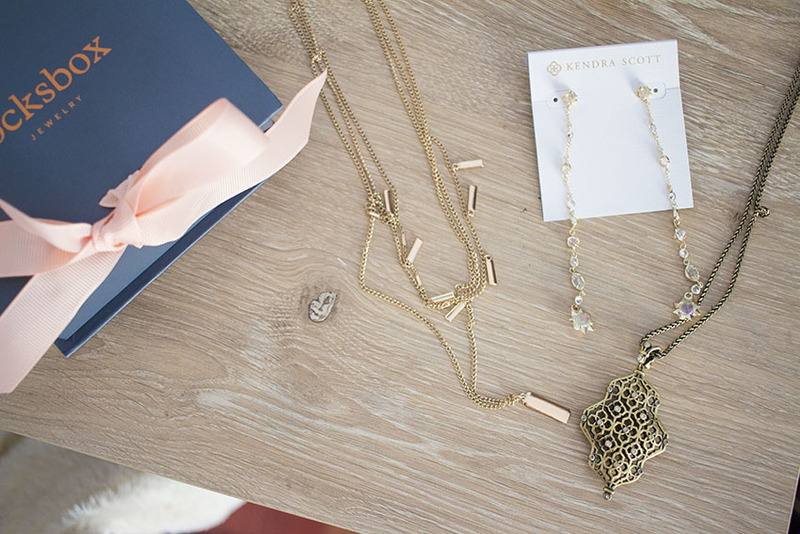 She picks items that she thinks you'll love and tries to include those from your wishlist. You even get the chance to preview your set before it gets shipped out to you and you can even swap out a piece if you'd like. When I snuck a peek at this set I immediately wanted to swap out the gold layered necklace. I wasn't a huge fan of the rectangles but I decided not to swap anything out because who knows I might like it. Well, it turns out I was right because that's my favorite piece this month! It pairs perfectly with a basic white tee and black skinny jeans. It's just one necklace but because it's layered it looks like I put a lot more effort into my look! 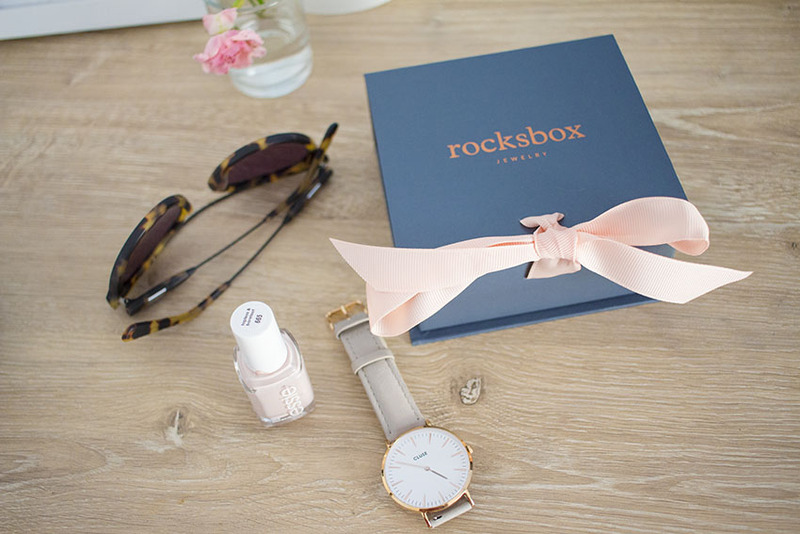 My friends over at Rocksbox are giving my blog readers a free month with the coupon code SIMPLYNANCYBLOGXOXO. All you have to do is sign up HERE and use that code at checkout! 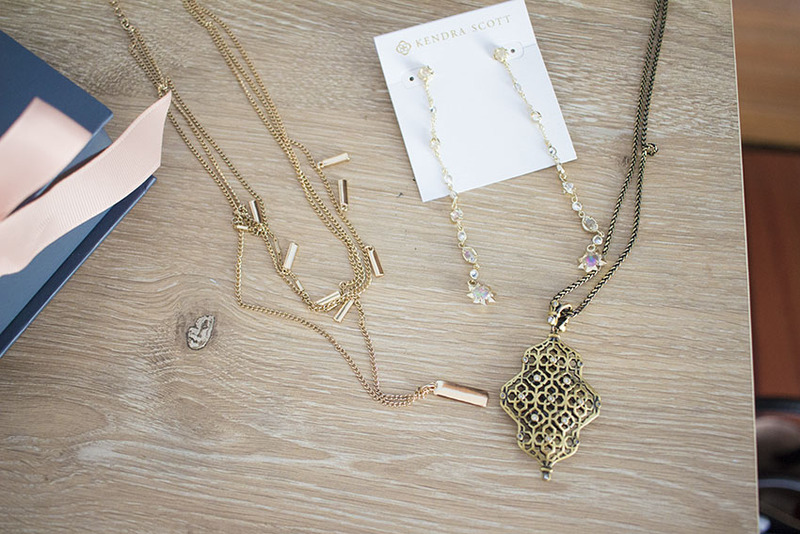 I love both the Kendra Scott earrings and necklaces! What a nice box you got right there! Right? I loved this months box. I still have to find a way to style those earrings though.